Last week, Kentucky lawmakers passed two pro-life bills, one of which has already been signed by the governor. Both bills are now facing legal challenges and opposition from the ACLU and Planned Parenthood. House Bill 5 (HB 5), called the “Reason Bill,” prohibits abortion for discriminatory reasons, such as the gender, race, or disability of an unborn baby. Once the law is signed and goes into effect, doctors will be required “to certify a lack of knowledge that the pregnant woman's intent” was in line with discrimination. A doctor caught violating the law would be subject to losing his or her medical license. Senate Bill 9 (SB 9) is known as the “Fetal Heartbeat Bill,” and bans abortions after a baby’s heartbeat has been detected--typically six weeks into a woman’s pregnancy. The bill requires women to have an exam prior to an abortion to check for a heartbeat. Though Governor Bevin signed SB 9 into law on Thursday, a federal judge has already temporarily blocked it. Both bills carry “emergency clauses,” meaning they automatically go into effect when the governor signs them. Then on Monday morning, the ACLU filed a motion in court asking a federal judge to order Governor Bevin to notify both the judge and the ACLU when he signs HB 5. US District Judge David Hale had blocked the enforcement of SB 9 on Friday. At Monday’s hearing in Louisville, the ACLU claimed that Bevin signed SB 9 "in the dark of night with no public notice," thereby forcing Kentucky's lone abortion clinic on Friday to turn patients away and cancel scheduled appointments for others. “Instituting laws that instantly affect patient critical care should not be a cat and mouse game,” read the ACLU’s motion. But according to Sen. Ralph Alvarado, one of HB 5’s sponsors, the legislation is merely intended to be anti-discriminatory. 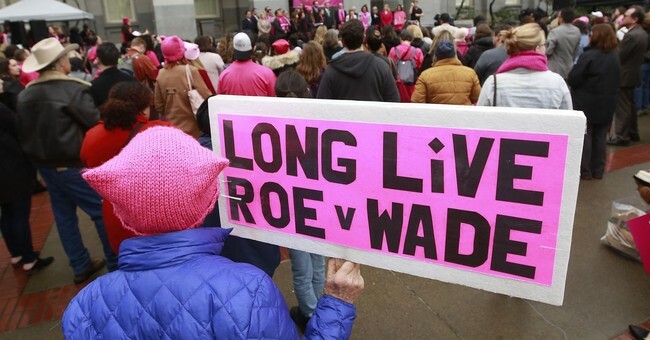 But in a March 13 statement, the deputy director of the ACLU’s Reproductive Freedom Project, Brigitte Amiri, said HB 5 places restrictions on a woman’s ability to make a decision about an abortion. Governor Bevin’s spokesman has allegedly not replied to requests for comment as to when he plans to sign HB 5.